Williamson, Gordon. 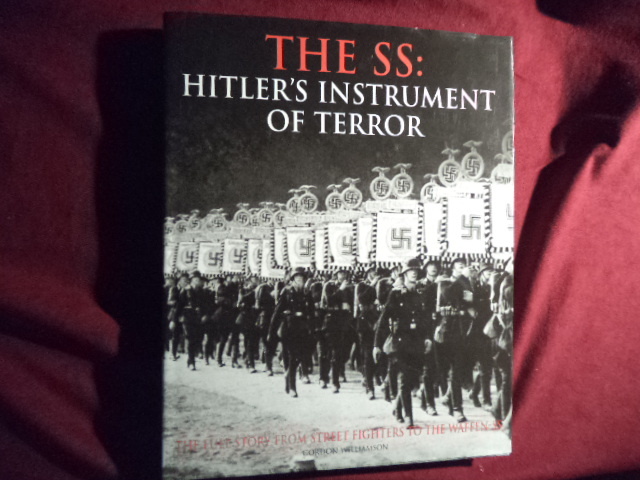 The SS: Hitler's Instrument of Terror. The Full Story from Street Fighters to the Waffen-SS. Photo available. New York. Barnes & Noble. 2006. 4to. Hardcover. Revised edition. Illustrated in black, white and color. Fine copy in fine dust jacket (in mylar). Williamson, Gordon. 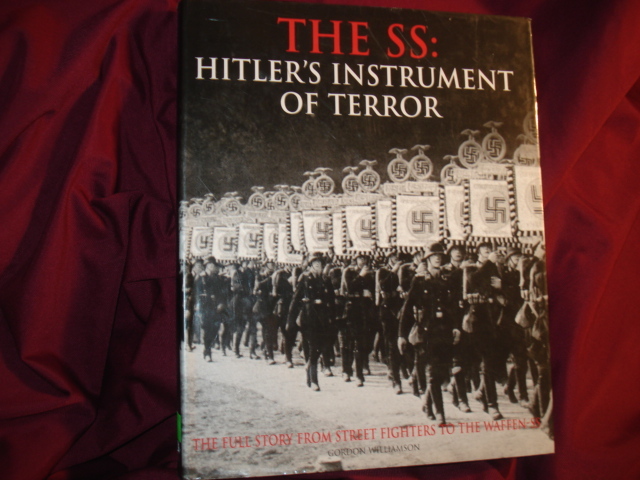 The SS: Hitler's Instrument of Terror. The Full Story from Street Fighters to the Waffen-SS. Photo available. New York. Barnes & Noble. 2006. 304 pps. 4to. Hardcover. First edition. Full number line. Illustrated in black, white and color. Important reference work. Fine copy in fine dust jacket (in mylar). Willmott, H.P. Pearl Harbor. New York. Galahad. 1981. 4to. Hard cover. First edition. Illustrated in black, white and color. Fine copy in fine dust jacket (in mylar). Wilson, Harold. A Prime Minister on Prime Ministers. New York. Summit. 1977. 334 pps. Octavo. Hardcover. First edition. Illustrated in color and black & white. Fine copy in near fine dust jacket (in mylar). Wilson, Keith. You'll Never Get Off the Island. Prisoner of War, Changi, Singapore, February, 1942 - August, 1945. A Story about the Adaptability, Courage and Humour of Australian Troops at Changi. Photo available. Sydney. Susan Haynes. 1989. Octavo. Hard cover. First edition. Illustrated. Fine copy in fine dust jacket (in mylar). 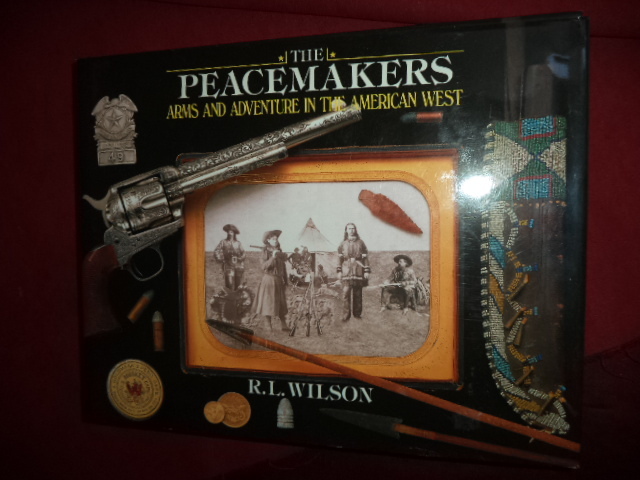 Wilson, L. The Peacemakers. Arms and Adventure in the American West. Photo available. Edison. Chartwell. 1992. 392 pps. 4to. Hardcover. First edition. Illustrated in black, white and color. Important reference work. Fine copy in fine dust jacket (in mylar). Wilson, R.L. Steel Canvas. The Art of American Arms. Photo available. Edison. Chartwell Books. 1995. 4to. Hardcover. First edition. Illustrated in black, white and color. Important reference work. Fine copy in fine dust jacket (in mylar). Wilson, R.L. & Peter Beard. 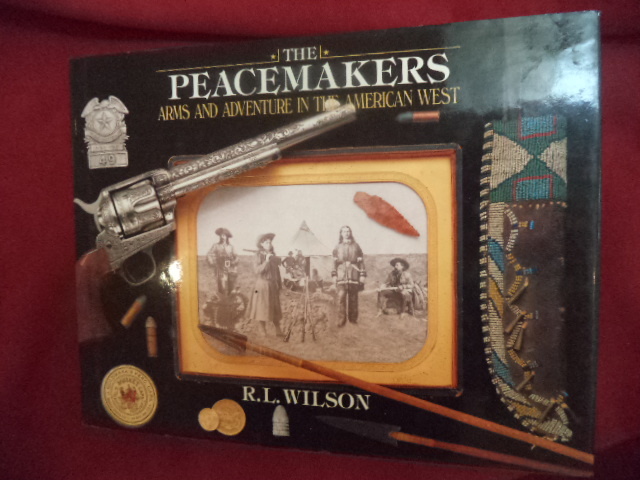 The Peacemakers. Arms and Adventure in the American West. Photo available. New York. Random House. 1992. 392 pps. 4to. Hardcover. First edition. Illustrated in black, white and color by Peter Beard. Important reference work. Fine copy in fine dust jacket (in mylar). Winant, Lewis. Early Percussion Firearms. 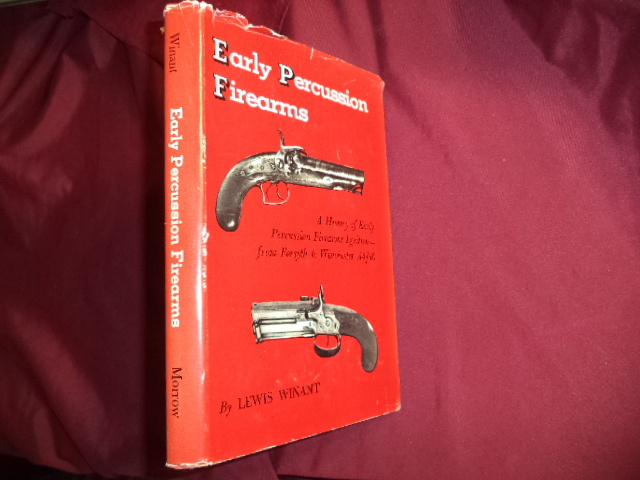 A History of Early Percussion Firearms Ignition - From Forsyth to Winchester .44/40. Photo available. New York. W.W. Norton. 1959. Octavo. Hardcover. First edition. Illustrated. Important reference work. Fine copy in near fine (very light shelf wear) dust jacket (in mylar). Winchester, Barry. Beyond the Tumult. 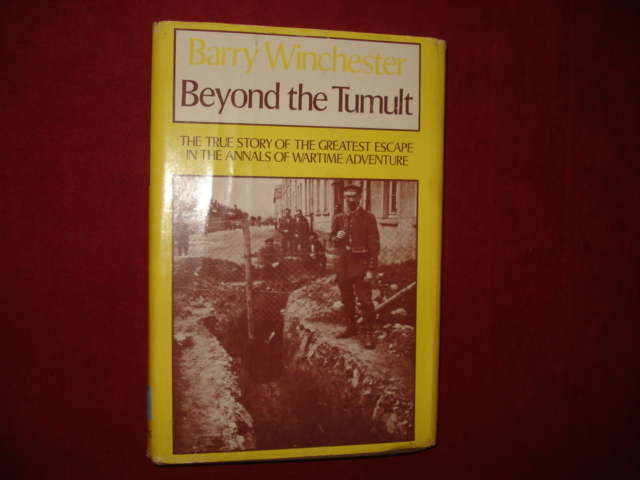 The True Story of the Greatest Escap in the Annals of Wartime Adventure. Photo available. New York. Charles Scribners. 1971. Octavo. Hard cover. Reprint. Illustrated. Fine copy in near fine (very light shelf wear) dust jacket (in mylar). Winchester, Jim (ed). Wings of Fame. Volume 8. 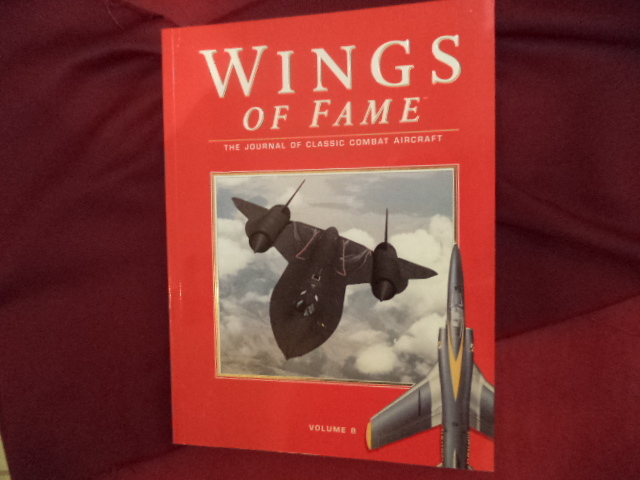 The Journal of Classic Combat Aircraft. Photo available. London. Aerospace Pub. 1997. 160 pps. 4to. Soft cover. First edition. Illustrated in black, white and color. Important reference work. Fine copy. Windrow, Martin . The Panzer Divisions. London. Osprey Publishing. 1973. 40 pps. Octavo. Pictorial soft cover. First edition. Fine copy. Windrow, Martin. A Concise Dictionary of Military Biography. Two Hundred of the Most Significant Names in Land Warfare, 10th-20th Century. Reading. Osprey. 1975. 337 pps. Octavo. Hardcover. First edition. Fine copy in near fine dust jacket (in mylar). Windrow, Martin. 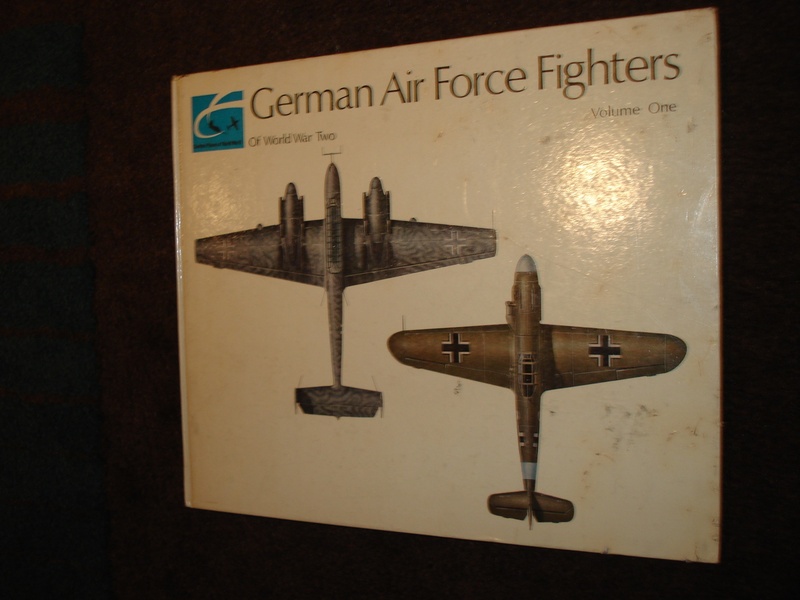 German Air Force Fighters of World War Two. Volume One. Photo available. Garden City. Doubleday. 1968. Octavo. Decorated hard cover. First edition. Illustrated in black, white and color. Fine copy. Windrow, Martin. The World's Greatest Military Leaders. Photo available. New York. Compendium. 2000. 4to. Hard cover. Reprint. Illustrated. Fine copy in near fine (very light edge wear) dust jacket (in mylar). Windt, Theodore. President and Protesters. Political Rhetoric in the 1960s. Tuscaloosa. University of Alabama Press. 1990. Octavo. Hardcover. First edition. Fine copy in fine dust jacket (in mylar). Winn, Craig, & Ken Power. 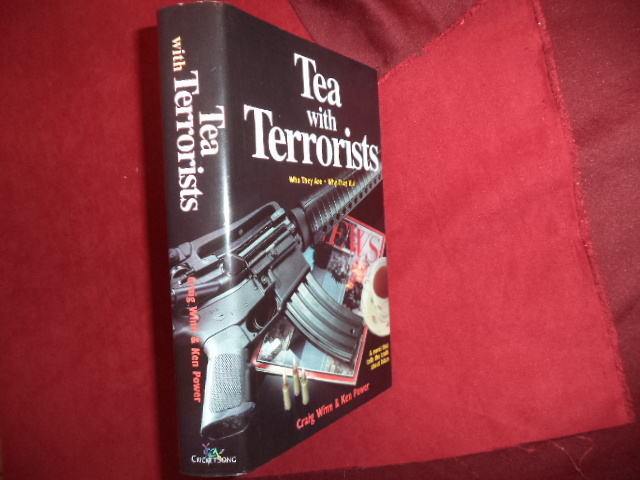 Tea with Terrorists. Who They Are, Why They Kill, What Will Stop Them. A Novel that Tells the Truth about Islam. Photo available. np. Cricketsong Books. 2003. Octavo. Hardcover. Second edition. Fine copy in fine dust jacket (in mylar). Winsto, Keith Pfc. V Mail. 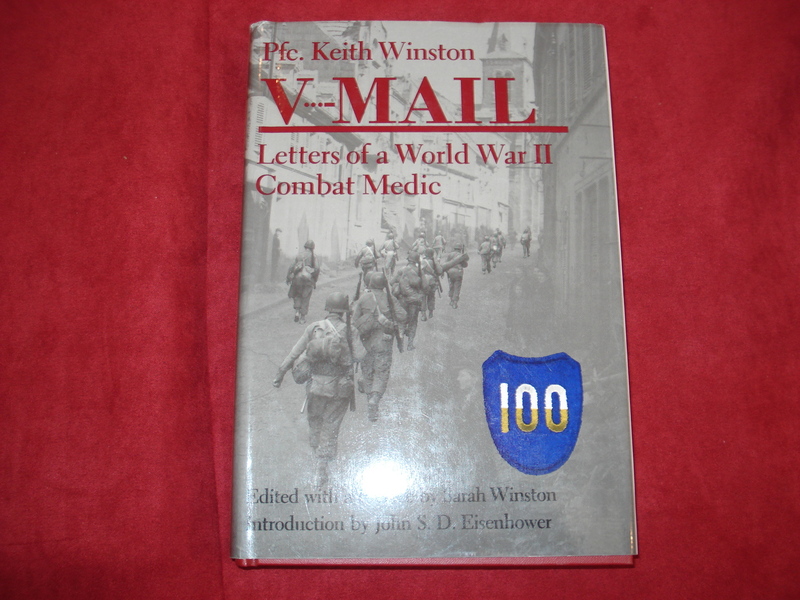 Letters of a World War II Combat Medic. Chapel Hill. Algonquin. 1985. Octavo. Hard cover. First edition. Illustrated. Fine copy in fine dust jacket (in mylar). Winston, Pfc. Keith. V - Mail. Letters of a World War II Combat Medic. Chapel Hill. Algonquin Books. 1985. 310 pps. Octavo. Hardcover. First edition. Illustrated. Fine copy in near fine dust jacket (in mylar). Winston, Pfc. Keith. V Mail. Letters of a World War II Combat Medic. Photo available. Chapel Hill. Algonquin Books. 1985. Octavo. Hard cover. First edition. Illustrated. Fine copy in fine dust jacket (in mylar). Winstone, H.V.F. Leachman: 'OC Desert' The Life of Lieutenant-Colonel Gerard Leachman D.S.O. London. Quartet. 1982. Octavo. Hardcover. First edition. Illustrated. Fine copy in fine dust jacket (in mylar). Winterbotham, F.W. The Nazi Connection. The Adventures of a Master Spy Inside Hitler's Germany. New York. Harper & Row. 1978. Octavo. Hard cover. First edition. Fine copy (owner name on end paper) in fine dust jacket (in mylar). 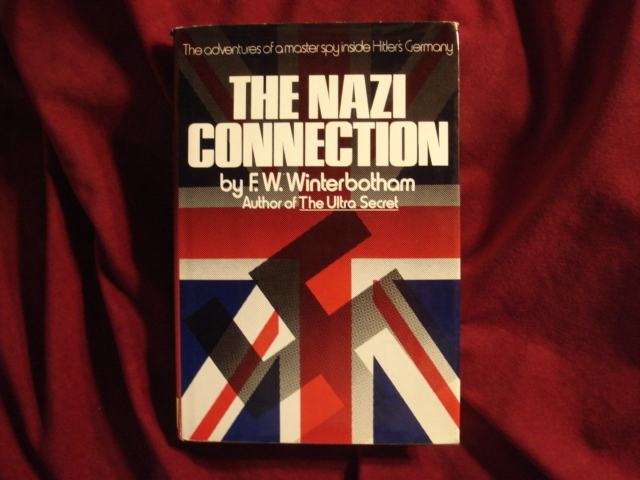 Winterbotham, F.W. The Nazi Connection. The Adventures of a Master Spy Inside Hitler's Germany. Photo available. New York. Harper & Row. 1978. Octavo. Hard cover. First edition. Fine copy in fine dust jacket (in mylar). Winton, John. Air Power at Sea. 1939-45. New York. Thomas Y. Crowell. 1977. 187 pps. Octavo. Hardcover. First edition. Illustrated. Fine copy in fine dust jacket (in mylar). Winton, John. Air Power at Sea. 1939-45. New York. Thomas Y. Crowell. 1977. 187 pps. 4to. Hardcover. First edition. Illustrated. Fine copy in fine dust jacket (in mylar).